If you're unfamiliar, well, good for you. You've got the opportunity to catch up on a bunch of good guitar rock. You can learn, hear and see more at their sites below. Saulnier does the tweeting and can be pretty entertaining. He had a bit of an existential crisis when the Canadiens lost to the Rangers earlier this week, even unfollowing Jimmy Fallon. Based on this track and preview, the album promises to be an event. I'm looking forward to it. Last September we profiled (here) Dublin's hyper-energetic power pop four piece, The #1s and hoped that we'd hear more from them. We've just learned that "the more" comes on August 5 -- ten tracks of more music to be released by Deranged Records. While digesting that happy news, satisfy your ears with album track "Heartsmash". The #1s are Conor Lumsden, Cian Nugent, Eddie Kenrick and Sean Goucher. Papercuts is San Francisco singer/songwriter Jason Quever - we've written about him before but it's been a while. The new album is Life Among the Savages and it's a gorgeous affair - I hear echoes of psychedelic rock and pop classics throughout, but like the best of this genre, it doesn't sound exactly like anything else. The opening track, "Still Knocking at the Door", puts me in mind of Traffic and the Beatles at the outset - it's the use of piano, I think. To be honest, I'm not sure exactly what it is, just an overall feel. Most of the tracks here are pretty laid-back, but very full and extremely melodic. Another artist I'm reminded of is Elliott Smith, and in that comparison I am also reminded of how very difficult it is to describe music like this... once I got a listen to Smith, I recall thinking I had never seen a review that did justice to his music - the way it combined beautiful melodies with quiet intensity. So it is with Quever. Raves from people you trust are the best way into an artist like Smith, or Papercuts. Do you trust us at WYMA? There's not a weak song on the album - there are only 9 in all, and they flow together well. Though there are common traits to most of the songs (Quever's hushed vocals, piano/strings on top of understated rock instrumentation), there is some variety in song structure and tempo - "Easter Morning" is a beautiful ballad along the lines of Smith's "Waltz #2", while "Family Portrait" is more upbeat and guitar-based. I like Quever's touch in producing all these tracks - he seems to have a good feel when to lay on the more baroque or psychedelic effects, and when to let the more basic components of the songs, be they pianos, guitars or vocals, speak for themselves. 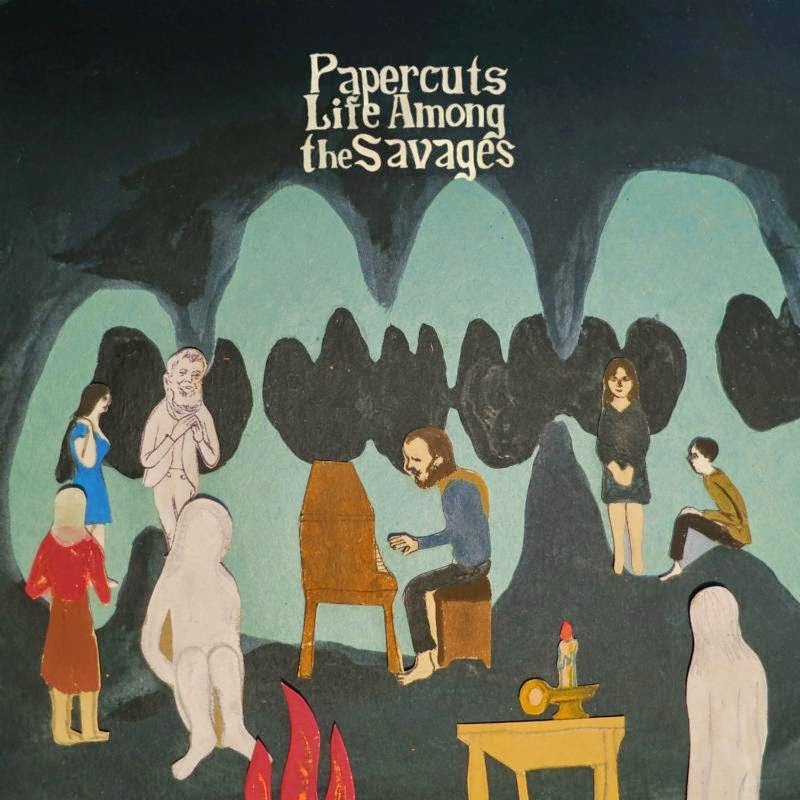 Life Among The Savages is out now on Easy Sound Recordings (released May 6 in US, May 12 in UK). Geoffrey O'Connor is gracing the world with a new album named Fan Fiction on August 8, but you don't need to wait that long to discover what the pop maestro has in store for us. One of the tracks, the "Her Name On Every Tongue" has been released as a single. Effortlessly sleek and stylish, it hints at very good things come August. The astute listener will be reminded of Joe Jackson and Roxy Music in their prime. You can stream the title track, and watch the accompanying video, below. You can stream all four tracks and pre-order the single at the Bandcamp link below. The single includes the title track, the excellent B-side "Jacqueline", and two remixes of "Jacqueline". Both the single and the album are released by the Melbourne label Chapter Music. 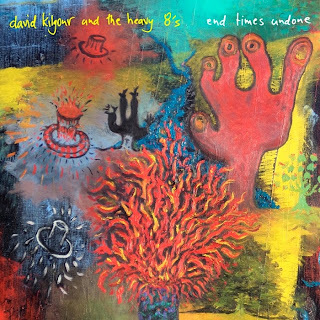 Great news this week - the new album from David Kilgour & the Heavy Eights, teased some time ago with the track "Christopher Columbus", is nearly here! (Well, August - but given that their last proper release was 2011's Left By Soft, what's another two months?) And he's sharing a video for another track, "Comin' On" - a laid-back, jangly piece of guitar pop perfection that's nearly 5:00 long. The album's called End Times Undone - and based on the two advance tracks, I'd say Kilgour is at the top of his considerable powers here. As part of the show, you hear the host imploring Hank to play "Lovesick Blues", citing the carload of mail they've received from listeners asking him to play it, as well as Williams' folksy between-song patter. His prowess as a performer is shown not only on his musical performances, but also his humor and exposition. However, as Escott also points out, "the patter was often jarringly at odds with the sepulchral songs that preceded and followed it." I'd also make the observation that the irony of placing "I'll Be a Bachelor 'Til I Die" back to back with the bathos of "Wedding Bells" is probably unintended, but enjoyable nonetheless. When Keith Richards came back to work with the Stones in 1977 after overcoming his heroin problems ("shutting down the laboratory" as he put it), he began writing songs again, one of which, "Beast of Burden", became one of the Stones' most enduring ballads. 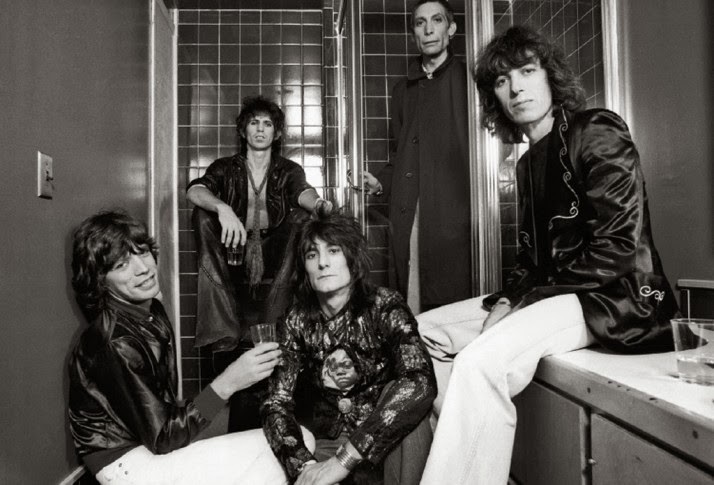 Richards has said that while he wasn't completely conscious of it at the time, the song was his thank you to Mick Jagger "for shouldering the burden" while he was incapacitated. The song is distinguished by Richards and Ron Wood trading off guitar lines, blurring the line between rhythm and lead guitar parts, moving together really well. The song was released on Some Girls in 1978 and became a top 10 single. Of course I'm passionate about music, or I wouldn't be writing for an indie music blog (no, the salary and stock options are not sufficient by themselves). But some genres and bands extract an extra measure of my passion. And in the upper strata is the Close Lobsters. The Paisley, Scotland band issued two albums and an EP of psychedelic/jangle pop in the latter half of the '80s. Their songs were excellent, with a sound that may be described as The Clean/The Bats/R.E.M. gone psychedelic with the addition of big college rock guitar hooks. Although they were considered by many to be a C86 band, their sound was at the more muscular end of that roster, and there is nothing twee about the band or their catalog. For whatever reasons the members couldn't agree to continue, and the production and touring stopped in the late '80s or early '90s. In 2009 the excellent singles compilation Forever Until Victory ! The Singles Collection was released (I listen to it regularly), but otherwise the Close Lobsters remained silent. Then in 2012 they reformed for some festivals and concerts. For us fans, that wasn't the desired new music, but at least the band was back, and we always could hope. And sometimes good things happen to those that wait. Via the good folks at Shelflife Records, the Close Lobsters are releasing their first new music in over two decades, Kunstwerk in Spacetime. Consisting of the "Now Time" and the jangling "New York City in Space", the record makes clear that the guys haven't lost any of their magic. Buoyed by a driving rhythm and classic guitar hooks, the lead track slides easily into the top tracks ever recorded by the Close Lobsters. B-side "New York City in Space" triumphantly plays in the dreamy, jangle pop playground that this band help define. You listen, you smile, you press repeat. Close Lobsters are still energetic, still melodic, still urgent -- there is nothing about this EP that suggests nostalgic reunion. The digital downloads are available now, but the vinyl may not be read to ship for another couple of weeks. However, since the physical version is limited to 500 copies, I suggest that you not delay. These songs might be available on an album in the future, but given the 20 plus year wait, do you want to risk it? Close Lobsters are Andrew Burnett, Stewart McFayden, Tom Donnelly, Graeme Wilmington, and Robert Burnett. Hey, listen up. I know that many of you are seeking summer tunes with sunny melodies and unchallenging themes (OK, for some of you hooking up may be a challenge, but we'll let that slide for the moment). Yes, I've been looking for that stuff, too. 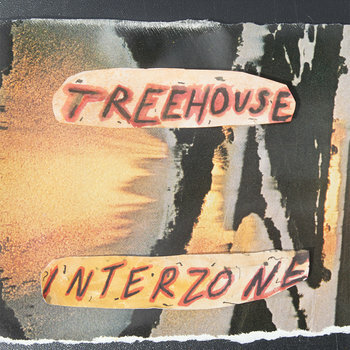 But while I was so engaged my inbox was invaded by Interzone, a really good rock album from a Hobart, Tasmania band named Treehouse. The sound is part punk, but with a resonant post-punk, grunge and alt rock guitar sound that blurs the boundaries of punk. In fact, one of the best things about this lovely nugget is the sound of the guitars. High in the mix and played with purpose, they wash over the listener like waves at the beach (see, maybe it is a summer album after all). And the structure provided by the bass and drums is solid as granite. This is as tight a trio as you are going to hear. Treehouse is Cal, Jon and Will. They originally released Interzone as a self-made, self-released cassette. However, Melbourne label Vacant Valley has stepped up and has released the album in vinyl format, with an accompanying digital download code. The digital download includes some bonuses, including several live tracks. You can stream the entire album at the Bandcamp link below, and acquire the goods at Vacant Valley's Big Cartel page. The sound of Antipodes, the debut LP from New Zealand's Popstrangers, was characterized by squalling guitars, grunge sensibility and an endearingly idiosyncratic approach. Since then, the trio has shifted their location to London and their sound to something decidedly more pop. 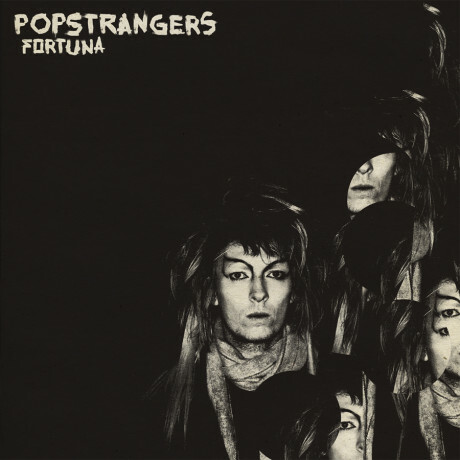 Thus, on Fortuna the presentation reflects influences such as Britpop, '60s British invasion and the jangle and drone of the classic New Zealand guitar sound. 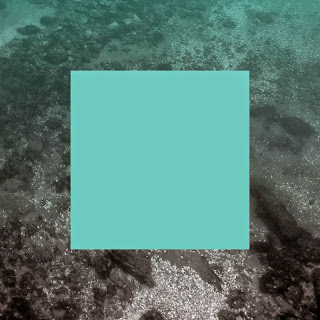 There are hints of Oasis and Blur in the mix, but in a good way. And happily the personalized little quirks remain, resulting in an album that manages to plow its own path in a well worked field. Where Popstrangers' growth is most evident to me is in the better understanding of the dynamics of the song -- the placement of the hooks, the building of the atmosphere -- as well as the cleaner sound and tighter performances. The result is an excellent collection of songs. Probably the best is "Country Kill" (provided below as a stream and video). "Don't Be Afraid", "Sandstorm", and (a personal favorite) "Violet". For my money, the first half of the album may be a bit stronger than the second, but all of the tracks hold up to repeated listens. I get the sense that the band truly believes in the merit of these songs, and I think the belief is well-founded. Of course every band wants to avoid the sophomore slump, and that challenge becomes more difficult when moving around the globe and changing up your music. That Popstrangers not only held their ground, but in my view made an even better album than their debut suggests that these guys have what it takes to keep moving forward in the industry. Popstrangers are Joel Flyger, Adam Page and David Larson. Fortuna is out this week via Carpark Records. We here at WYMA are all in for Lee Bains III and The Glory Fires. John Hyland penned one of the first articles ever written about the boys from Birmingham Alabama here in March 2012, and their debut album There Is A Bomb In Gilead made a couple of our Best of 2012 lists (mine and John's). So we've waited with great expectations for their 2nd LP, this one done for the top shelf indie label, Sub Pop Records based in Seattle. Dereconstructed, quite simply, is the noisiest, most relentlessly rocking 10 song burst of pure adrenalin imaginable. It's a bold statement and a big step forward for the band, which is saying a lot given the strength of There Is A Bomb In Gilead. Second records are tricky as the term "sophomore slump" didn't appear from out of nowhere. Bands often fall prey to either rehashing their first record with inferior songs, or stretch too hard to have "a hit", or get pushed into the studio too quickly when they have maybe 3 songs ready to go and the rest being done on the fly, compared to the lifetime they had to write the songs for their debut. No such pitfalls on Dereconstructed which sounds like a band just coming into its own, destined for greatness. This record so goes against the computer-enhanced grain of the day, turning it up literally to the point of distortion and putting the pedal to the floor and not letting up, capturing a very intentionally raw sound. As both songs linked above demonstrate, Lee Bains III and the Glory Fires have absorbed their rock and roll history well, drawing from the Faces, Ramones, fellow Alabamians The Drive-By Truckers, and an earlier Sub Pop band called Nirvana. But more than anything, the sound here reminds me of the first Clash record and early Sonic Youth with its distortion and sheer 'go for it' abandon. 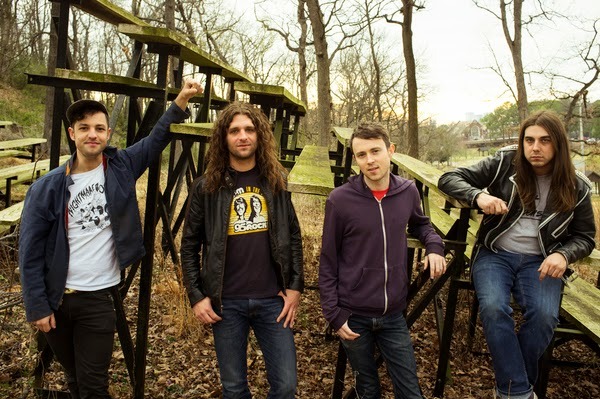 What I especially admire is how working within very defined idioms - punk rock and Southern rock - Lee Bains III and the Glory Fires avoid every rule and formula. Reminds me of discovering The Replacements' debut Sorry Ma, Forgot To Take Out The Trash, punk rock that sounded nothing like anyone else's punk rock, no mean feat in 1981 and even more noteworthy today. What sets this band apart and keeps this sort of standard guitar/bass/drums rock'n'roll sounding so fresh is Lee Bains' vocals. The guy is a tremendous rock and roll singer who has more than a little bit of Southern soul shouter in him, as if Wilson Pickett's work up the road from Birmingham at Muscle Shoals somehow seeped into him at birth. Most rock singers, even the great ones like Mick Jagger, Rod Stewart and Bruce Springsteen, have to work hard to effect this, but Bains naturally oozes soul. And Bains' songwriting, especially lyrically, steps up here too. Every song here has a strong structure, irresistible guitar riffs, and there are killer chorus' abound. And the sonic noise is matched by Bains' populist fury - raging against the decline of the middle class, the stubborn backwards politics of the contemporary South, and Christian hypocrisy, but with panache, intelligence and void of cliche, again much like the first Clash album. Dereconstructed is a terrific title for this 2014 Southern-fried, angry punk mayhem. That makes hearts like ours Hum like struck steel. And I forget which time of day, it'll take you straight to Memphis,Tennessee. In the kudzu and the concrete, I was born at the feet of the city. In the kudzu and the concrete, We learned to love at the feet of the city. The Glory Fires themselves are a crack unit, the perfect Southern punk rock band, The Scorchers to Bains' Jason if you will. The rhythm section of brothers, drummer Blake Williamson and bass player Adam Williamson, is super tight, and guitarist Eric Wallace joins Bains for a blistering twin-pronged nasty guitar assault. Best of all, the quartet are a true band playing as a unit. Dereconstructed is rebel's music, as God, the South and Joe Strummer intended. Stream the entire CD here from NPR's web page. Buy this record and be sure to see them when they come to your town. I keep running into Michael Caterer. Not that I've ever met the man. But I've enjoyed his work as guitarist for Scott and Charlene's Wedding (link) and the debut album from Full Ugly (link). He also was the mainstay of a fine Australian band called Love Connection. Now he has popped up with a four-track EP for his own band, Shorts. The title track is one of the sunniest, sweetest doses of guitar pop you've heard in a long time, and that is without considering the killer line "I'm thinking about getting old with you". We wish Mr. Caterer nothing but happiness, but the fact that he wrote the song while bummed out in Berlin on a day off from touring with S&CW suggests that the sour times can lead to fine music in his hands. The second track, "Happy 10th Birthday", is 1:43 of twisted, atmospheric, instrumental synth pop. "Wonder (I Just Wanna)" builds on track 2 with a more muscular rhythm, more distinct melody, laser-shot effects and indistinct vocals. It reminds me a bit of early tracks from New Zealand's Surf City, and that is a good thing to be like. What is the song about? I have no idea, but it sounds joyfully cathartic. "She Feels the Sting" closes proceedings with a swaggering indie guitar tune. It could be a showcase song on many EPs, but other EPs don't have "Berlin 1971" leading off. The EP was released in digital form in Australia a few months ago, and by Aloe Music in the US. Now the UK and Europe are included, as the EP is being released in vinyl by Bad Paintings on June 9. Purchase of the vinyl comes with a digital download. To record his songs, Caterer enlisted John Maurer (Free Time/Titus Andronicus/Real Estate), Dylan Shumaker (Woodsman/Alex Bleeker and the Freaks), and Adrian Tregonning (No Zu). 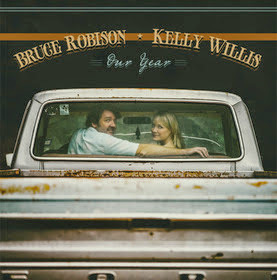 Our Year, by Texas husband/wife singer songwriters Bruce Robison and Kelly Willis, will be one of the best country records you'll hear this year. They're both strong songwriters and distinctive singers who have years of experience bringing their music to life individually. In the last couple of years, they decided to combine their talents and the results have been wonderful. Their first one together was Cheater's Game (WYMA review here). 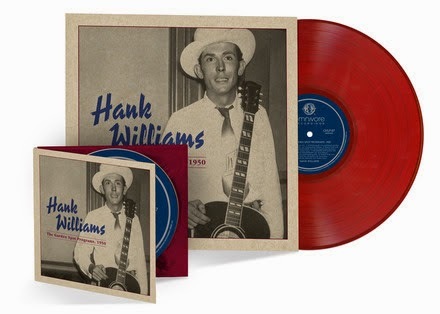 As on that one, the band on this record is just perfect, with tasteful, sort of understated Texas country rock - and without that, the record would not be as good. But it's Robison's and Willis' singing, specifically the way their individual talents play with and off of one another, that make Our Year as special as it is. On "Carousel", Bruce's vocal, underlaid with a sad, sad pedal steel, is the kind of stuff great country tunes are made of. Kelly's harmony vocal is, of course, perfect here. It's followed by a Willis-led weeper "Lonely For You", with a sort of Buddy Holly drumbeat and Bruce's backup vocal under her terrific, emotionally evocative singing. And her lead on "Harper Valley PTA" breathes new life into that one - a shot of humor by way of a song that's simultaneously dated and timeless, with its references to "a Peyton Place" harking back to a different time, but "Harper Valley hypocrites" ringing as true as ever. The album contains three originals (co-writes with Darden Smith, Monte Warden and Paul Kennedy), as well as some well-done, if non-obvious, covers. The title track, “This Will Be Our Year,” dates back to The Zombies in Abbey Road Studios circa 1968. Its hopeful tone is as perfect here as it was in the original version on psychedelic song cycle Odessey and Oracle (or on an episode of Mad Men earlier this year), though presented very differently. Melted Toys makes the kind of psychedelic pop that reminds of of the times when I am not fully awake and not actually asleep. Colors are bright, but lines indistinct. Seemingly brilliant ideas float into focus but retreat to some elusive plane when I am fully awake. It is intimate, familiar and very satisfying. The only complaint I can have is that Melted Toys hasn't been very active of late. Happily, that flaw will be rectified on July 15, when the San Francisco quartet releases their self-titled debut album via Underwater Peoples. You can sample its delights with the dreamy summer jam "Observations". Melted Toys are Daniel Rosado, Steven Harkins, Brian Wakefield, and Ole Haarstad. REVIEW: Joe Henry - Invisible Hour (with link to stream of full CD). We are devoted Joe Henry fans here at WYMA, with deep respect for his records and the stellar production he has provided so many others (including Bonnie Raitt, Solomon Burke, Aaron Neville, Bettye LaVette, Billy Bragg, Over The Rhine, and far too many to list). So it's especially exciting to see Mr. Henry release a new CD as satisfying as Invisible Hour, his 13th full length recording, and certainly one of the very best of his distinguished, albeit criminally under the radar, career. Invisible Hour embodies every good idea and musical instinct Henry has ever had, providing both a step forward and a link back to his earlier beloved "Americana" period (Short Man's Room, Kindness of The World). This is the warmest and most accessible record Henry has made in a long time if not ever. And that warmth stems directly from Henry tapping into what matters most to him - family. The songs deal with topics long explored by Henry -- faith, sorrow, longing, redemption -- but ultimately they focus on love and belonging. Henry reveals in the liner notes that the record addresses marriage "as a verb, not a noun.... Married describing what it means to truly live (not necessarily unfailingly) and abide within the moving frame of commitment: commitment to love, to forgiveness, to eternal doubt, to the courage of awareness." Invisible Hour was made in a mere 4 days in the basement of Henry's house in South Pasadena with help from his horn playing son Levon Henry and a host of musicians and close friends with whom Joe has worked in the past. Joe's wife was upstairs hosting the guests in their home. And at the risk of sounding corny, I have to say you can literally feel the love in the music. The record starts dramatically: "It wasn't peace I wanted," Henry quietly but firmly declares to begin "Sparrow", Invisible Hour's gorgeous seven minute opening track, "so it wasn't peace I found." "Sparrow", like all 11 songs on Invisible Hour unfolds with grace, and doesn't rush or beat you over the head. Like every track here, "Sparrow" uses space extremely well, more of it available than usual due to the complete absence of piano and keyboards which have been up front on recent Joe Henry records. The other new approach Henry takes on Invisible Hour is the prominent use of background singers, mainly Joey Ryan and Kenneth Pattengale (Milk Carton Kids), plus the sublime Lisa Hannigan (Henry having produced the most recent records by both artists). Also, for most songs here, Henry uses strictly acoustic string instruments (guitars and mandolin by Henry, Greg Leisz and British folk artist John Smith). But he foregoes the acoustic bass he has been employing and brings back Jennifer Condos whose electric bass brings a stronger bottom and a steady groove that everyone else can breathe into. Add the gorgeous, spacious and at times even playful saxophone and clarinet work by Levon Henry, and Joe Henry achieves a new sound for himself, the richest of any record he's ever created. "Lead Me On" is the quietest song on Invisible Hour, just acoustic guitars and the soft harmonies of Henry and Hannigan. The entire record embodies this kind of understated beauty. There is a subtly seductive quality to Invisible Hour, much like Henry speaks to more literally in the song "Swayed" (previewed here at WYMA earlier), and the listener should lean into the record to experience that seduction. Two songs here especially bowl me over - "Grave Angels" which dances along like a great Simon and Garfunkel song while Levon Henry's horn lines recall vintage Van Morrison records, and "Plainspeak", which has one of the biggest chorus' of Henry's career, a wonderful mandolin interlude by Greg Leisz, and the warm background vocals of Ryan and Pettengale. Both songs, like every one here except "Lead Me On", showcase the unique and stunning drumming style of Jay Bellerose, whose cymbals cascade and shimmy while the big drums march with drama and dignity, favoring well spaced deep sounds, nary a hi-hat or small tom tom to be heard. Bellerose adds so much texture to each song, reinventing how drums are used on what is essentially a folk music record. Bellerose has elevated the many recordings he and Henry have created together, the two seeming to understand each other's approach to their craft exceptionally well. But the other secret weapon here is Levon Henry who enjoys somewhat of a coming out party on Invisible Hour. What I find particularly interesting is that even as a young guy, fresh out of college, he has such a distinctive style - not jazz exactly, not tried and true R&B horn lines, but swingin', adventurous and at times just plain fun. Bursting with talent, young Levon's creative playing adds personality to the record, truly lights things up. 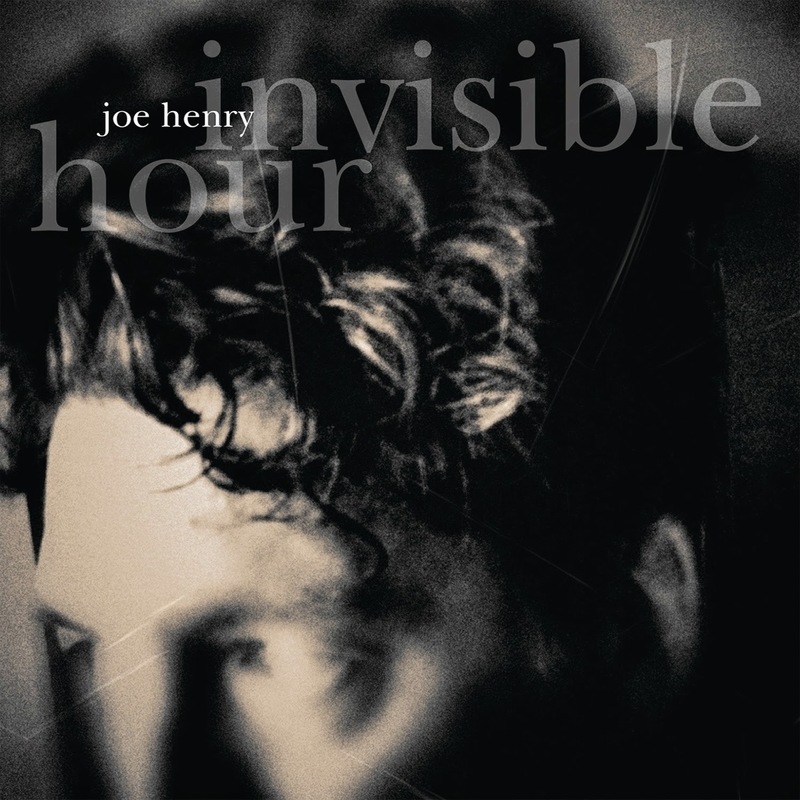 And yet, despite all the wonderful music and singing, the elder Henry's vocal phrasing impeccable as always, ultimately Invisible Hour stands so tall because Joe Henry has such a remarkable gift with words. His work owes as much to his literary heroes like Alice Munro (for whom he wrote the song "Alice" here) and Colum McCann (who co-wrote "Signs" here) as it does his musical heroes like Bob Dylan and Duke Ellington. And it never would sit down. To be swallowed by this room. Invisible Hour is a beautiful and flawlessly executed record. I can't recommend it highly enough. And you can now stream it in its entirety at the First Listen feature at NPR's radio page, link here. But no one can digest something this deep and majestic via a stream or two, so please be sure to go buy this one. Visit Joe Henry's web site and pre-order the record here. NEW SONG: White Fence covers Gram Parson's "Lazy Days"
And the entirety of the tribute album Return of the Grievous Angel is a gold mine. This track reminds me of Wilco's take on "One Hundred Years From Now" - a tribute, sure, but not bogged down by reverence. It rocks hard. Be on the lookout for a new White Fence album this summer. Brooklyn's Tomboy is pretty high on my band-to-watch list. Their latest release is the fine "Hang Out", a sweet synth pop tune with buoyed by a bubbling rhythm. That song alone would earn them a place on the list, but coupled with the tribal dance rock of the preceding "Roll Out", I'm hooked. Check out both tracks below. The band is Sarah Aument and Will McIntyre. They will be releasing an EP via Captured Tracks this summer. Hooray!